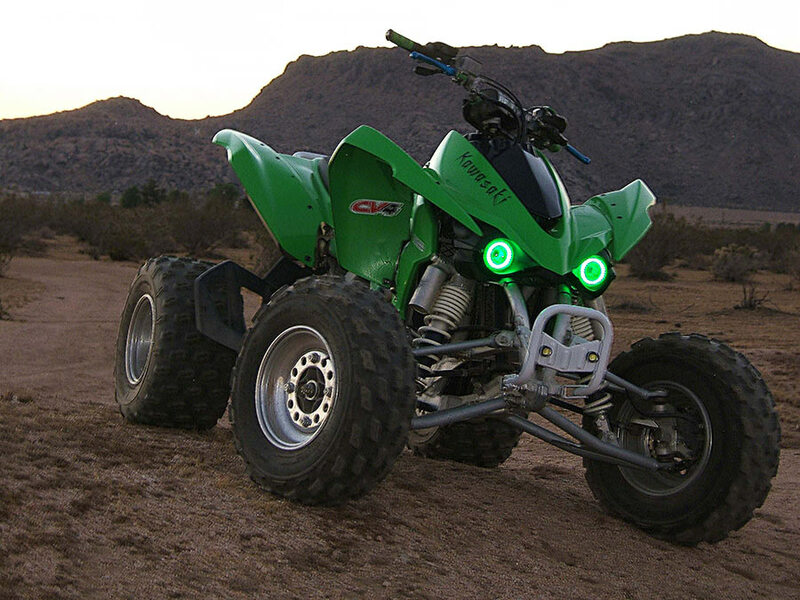 LED Angel Eye Headlight Accent Lights - Black Circuit: On Showing Beam Pattern In Red, Blue, Green, UV, Amber, Natural White, Cool White, And Royal White. 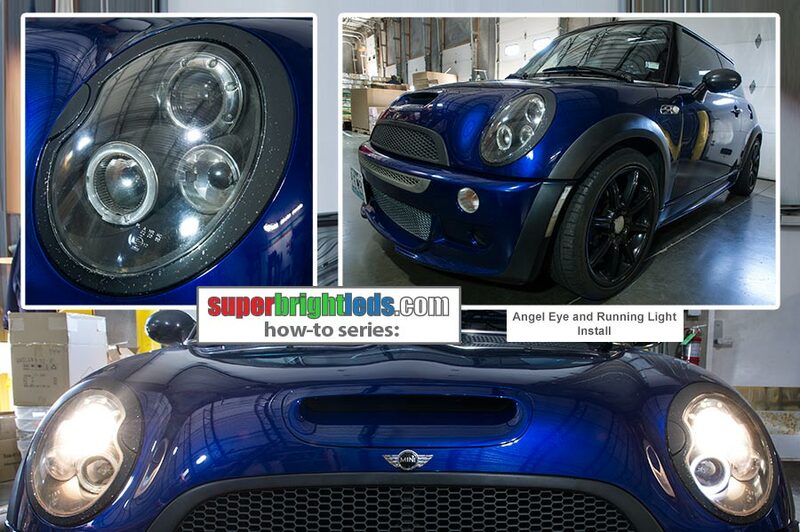 How To Install RGB And Cool White Angel Eyes In A Stock Headlight Housing. 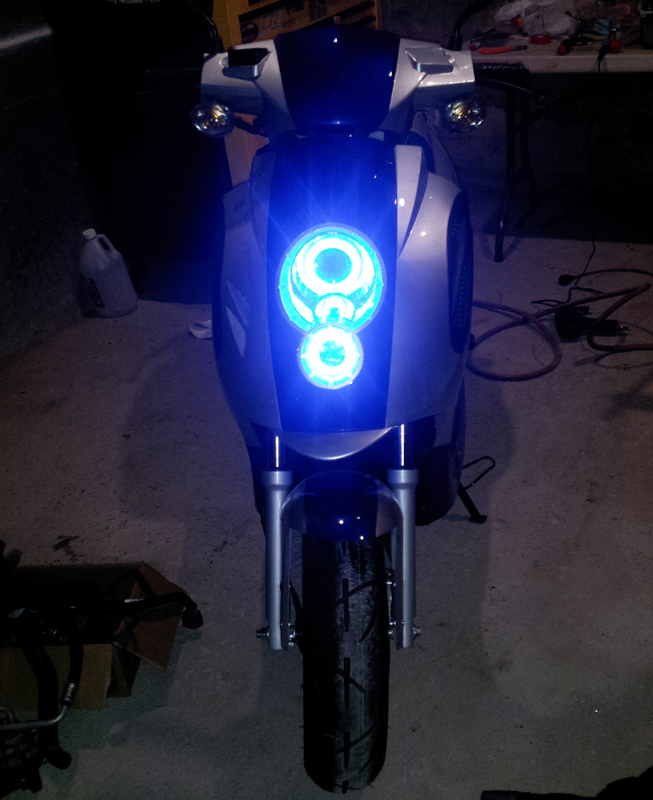 Also Includes Install Of Switchback Running Lights. 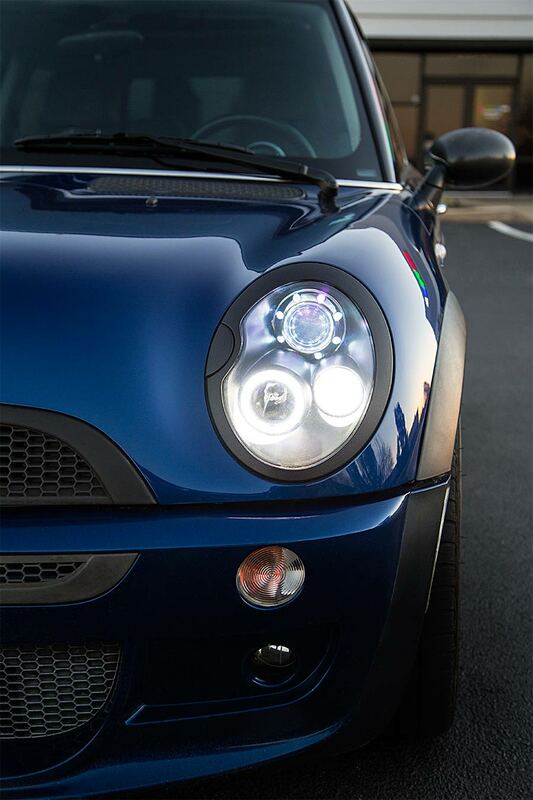 LED Angel Eye Headlight Accent Lights - Black Circuit: Shown Installed In A Mini Cooper Headlight Housing. 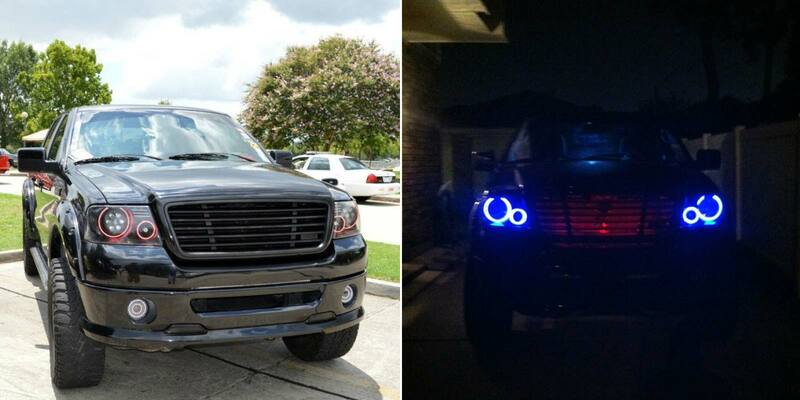 Customer's Truck with some Angel Eyes isntalled Thanks, Justin B! 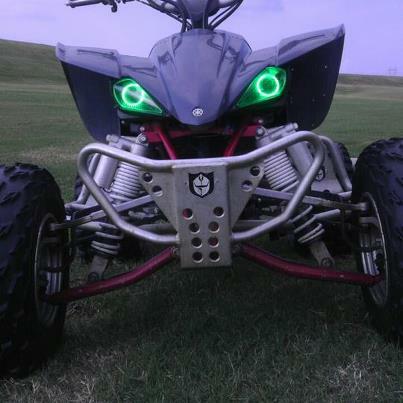 LED accent on headlights of a cutomer 4 Wheeler - Thanks Nick S.
Make your car, truck, motorcycle, jeep, ATV, or UTV stand out with these LED Halo Headlight Accent Lights (Angel Eyes). 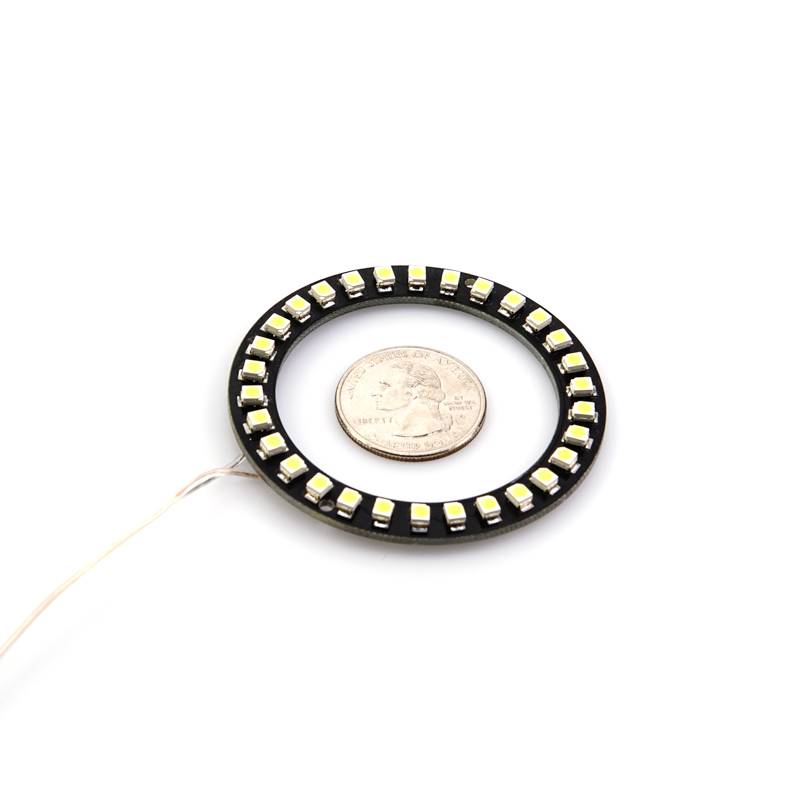 The long-lasting LED halo rings can be used as daytime running lights and as city light alternatives to provide a decorative glow around vehicle headlights. 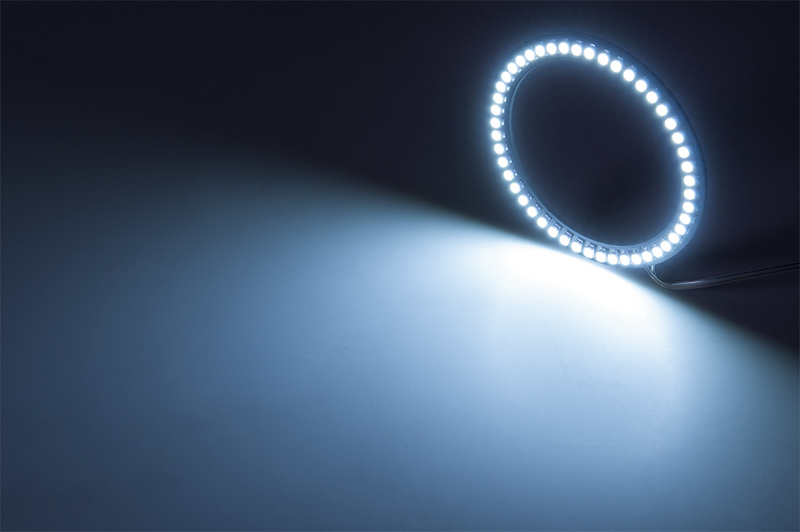 The circular LED lights can also be used for general accent lighting. 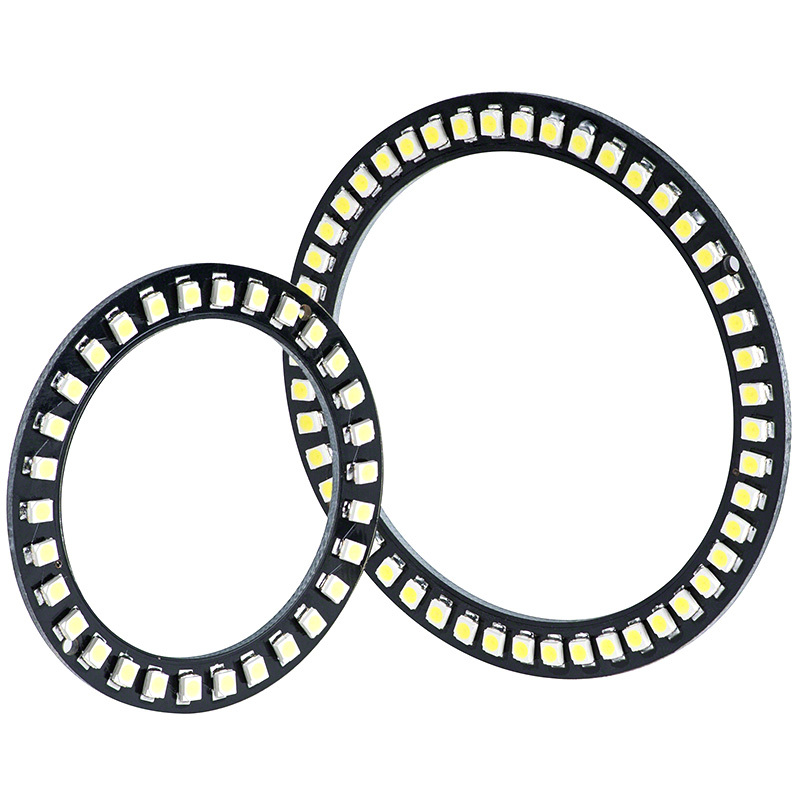 Black circuit boards are available in 60-mm and 80-mm lengths with 30 or 48 LEDs (3528 SMD) respectively. 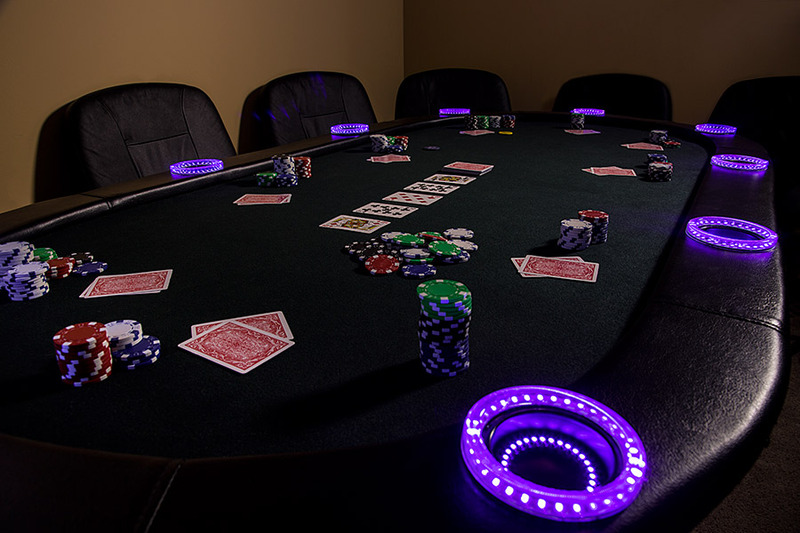 LEDs are evenly spaced on the halo rings and emit a wide 120° beam of cool white, natural white, warm white, hyper white, UV (blacklight), blue, green, amber, or red illumination. 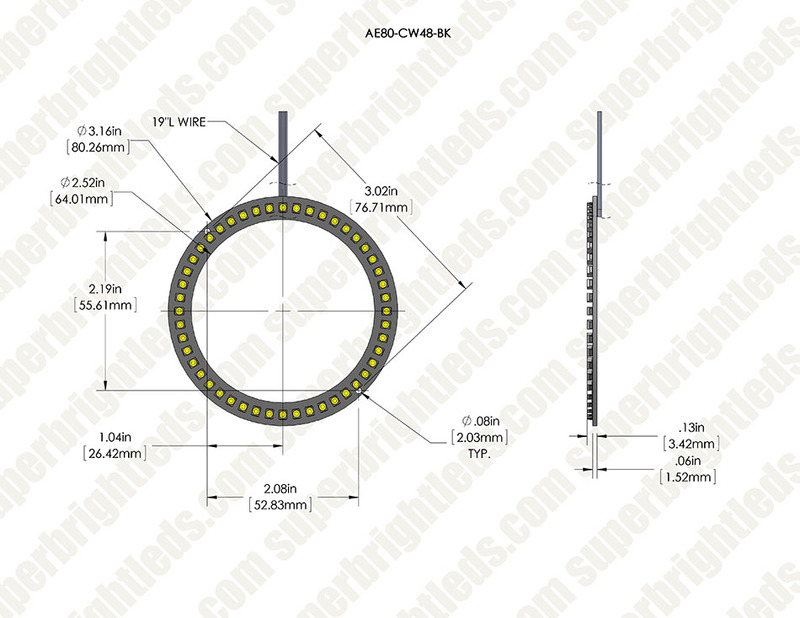 Angel Eye Plastic Covers can be added to the rings for a more traditional, uniform appearance. 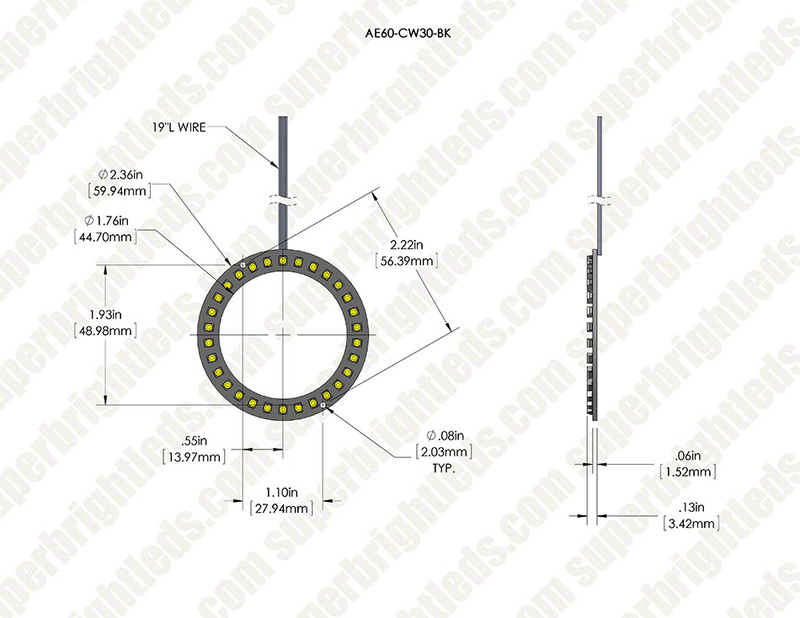 The LED halo rings have 12V DC operation and include 18" power wires for easy installation. Price for each. 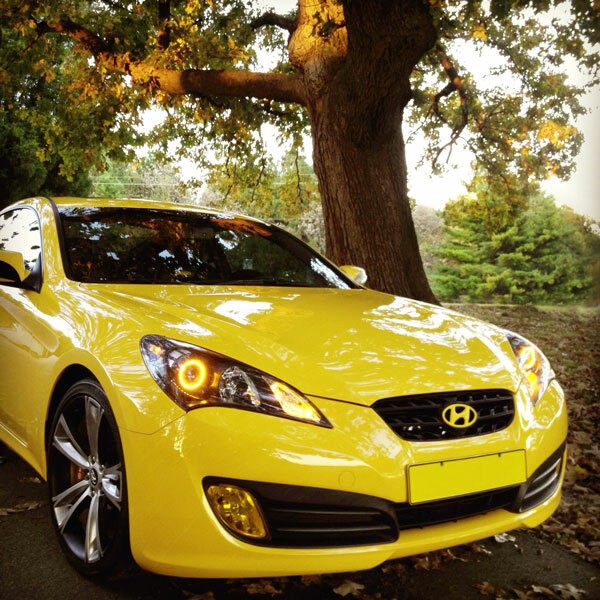 Due to excessive heat given off by standard automotive headlights, you should allow adequate clearance between any AE or accessory or part may become damaged. I got 2 of the 80mm Natural White, and they sent me a sticker too! They're a no-nonsense setup; the photos don't show all the details, but when they came in, I saw there were holes drilled out in it so you could mount it with screws or bolts if needed. 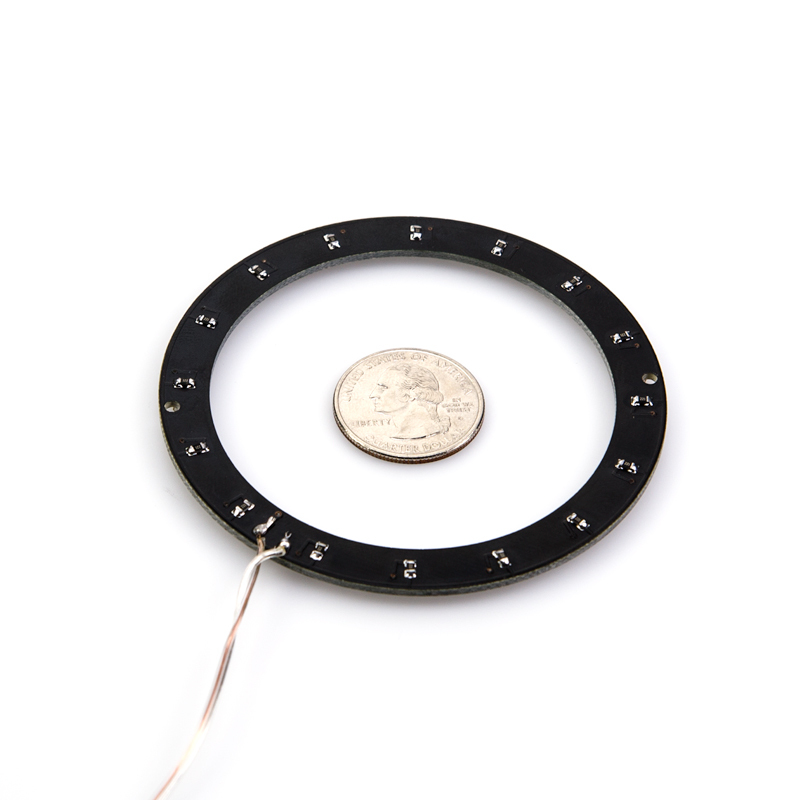 The resistors are on the back of the rings, so don't expect to mount it flush to any surfaces. I'd say it's about 1/16" of extra gap if you try. First experience shopping from this site, and they did not disappoint! I gave it 4 stars because I'm just not a fan of 5, but you can decide for yourselves. 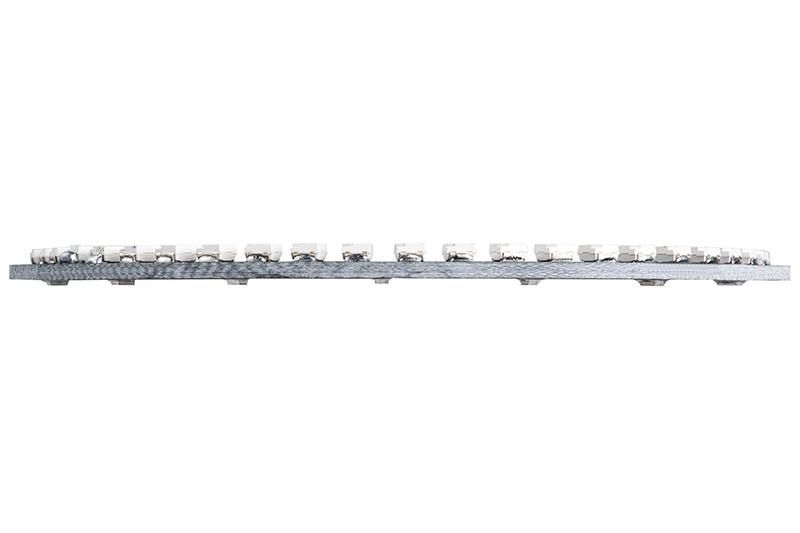 I used a set of these for a projector retrofit project back in June of 2012 its now Sept of 2013 and i haven't had any problems with them. They are even bright enough to be visible in the day light. 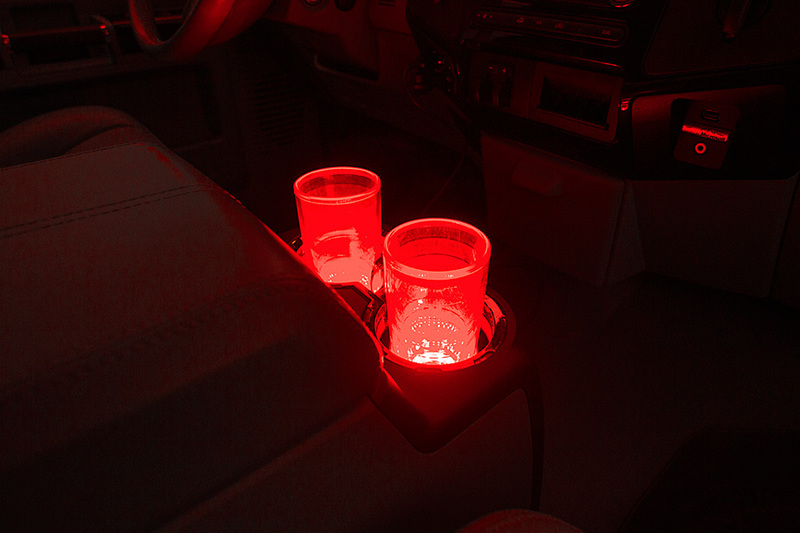 I would buy these again for another project. These things are BRIGHT!! 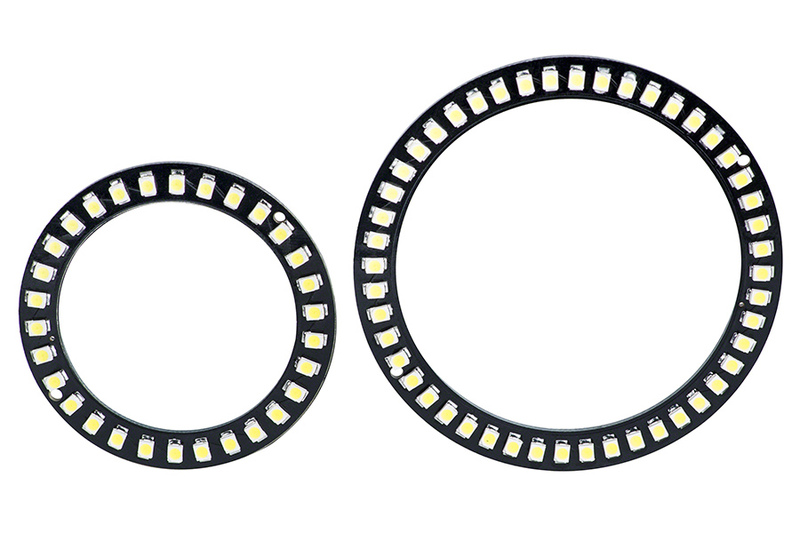 I got (2) Cool White 80mm and the Plastic Covers (AEPC-80) to go with them...The plastic covers make a huge difference, instead of seeing the individual LEDs, it creates a uniform halo of light. 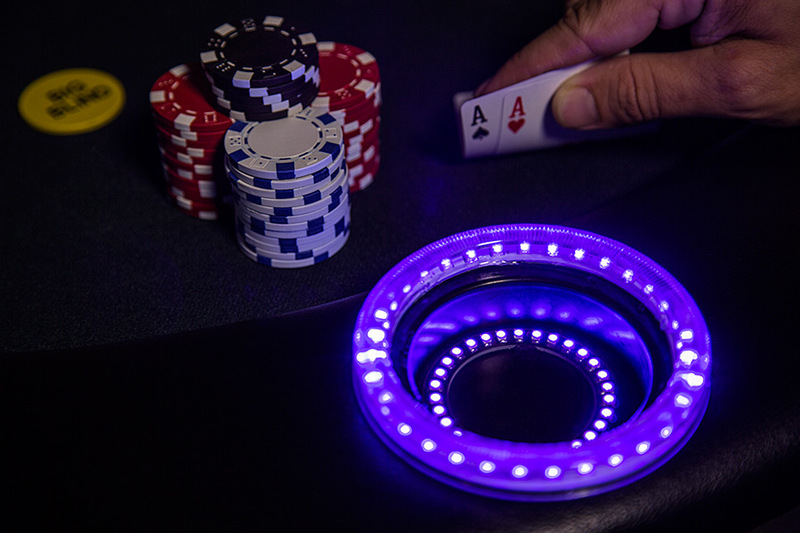 The Poker Table pictures aren't really a good example, in my opinion. Even in full sunlight these are hard to look directly at! Like the other reviews said, the resistors are on the back, they are small, maybe a 1/16-1/8" off. 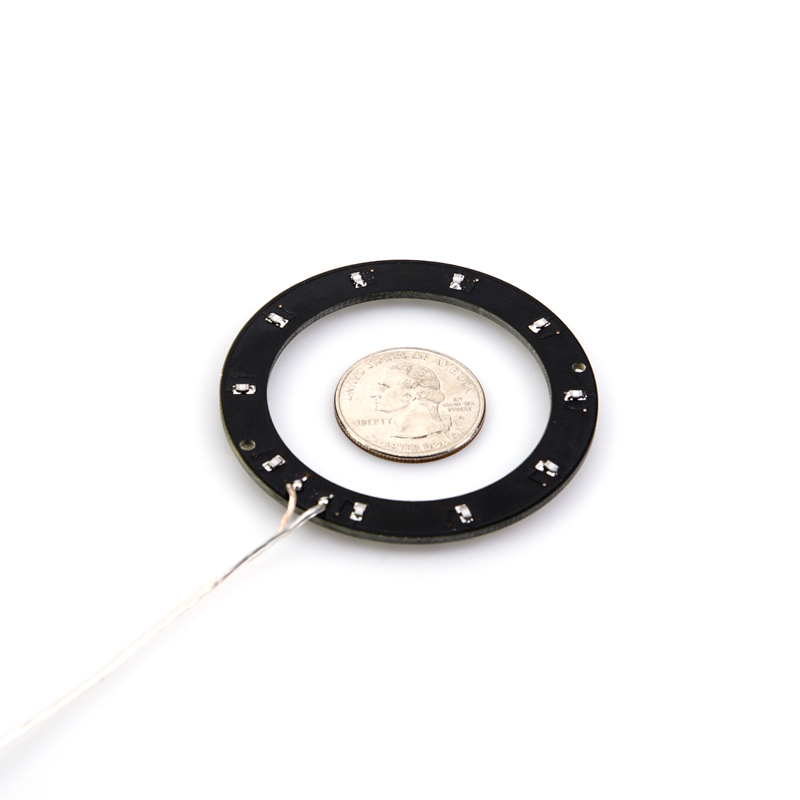 The two mounting holes are very small as well, but it's nice to have that option. I just used some high end doubled sided foam(ish?) tape to attach. 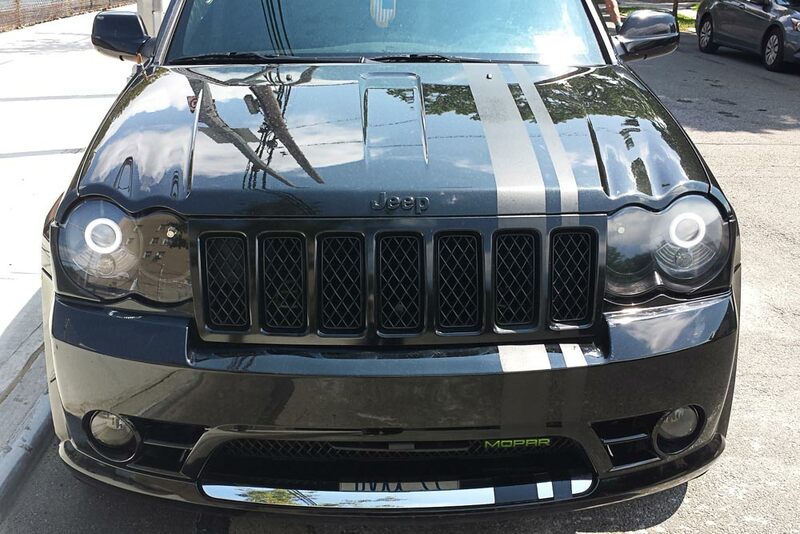 Don't do what I tried first with hot glue....when parked in the sun, the glue gets soft again and it all falls apart! 24 Ga is not acceptable for "automobile" appilcation. Long time SBL customer, happy about output, dissappointed by value.